About disabling gnome-panel.... 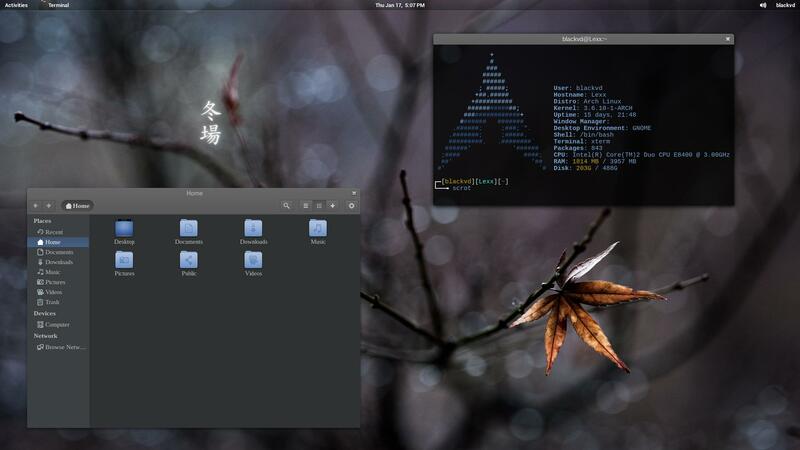 I am going to write a guide, that some users (even people who prefer minimal DEs) are probably going to want to check out - especially, if they would like to hack on the gnome 3 stack - to make G3 into an "agnostic desktop environment" or a very lite DE. 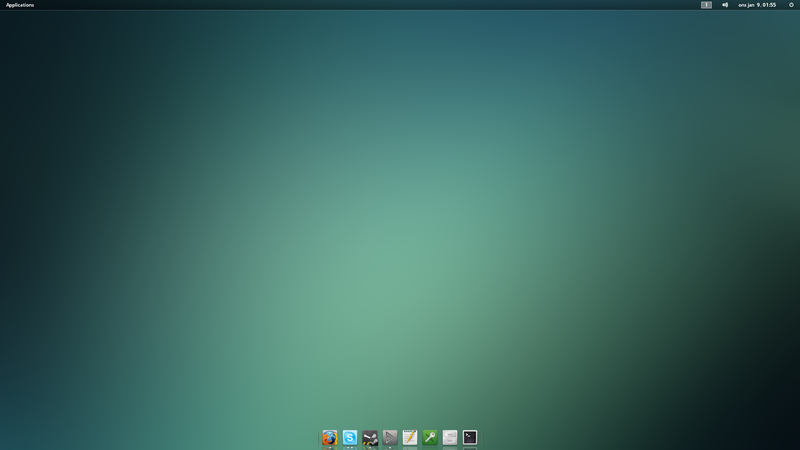 i start gnome3 from the commandline using startx - it boots MUCH faster than gnome2, or gnome-shell/gnome3 defaults. I don't have to start it this way, but I prefer it. aaah, love this wallpaper. used it for years. @triplesquarednine Cool, can't wait for your guide! Are you gunna post it in the Wiki? Hey thanks, I might just give that a try after I fiddle around with the basic for a while... I'm gonna try and master it before moving on. Might as well give it a shot, eh? if anyone is interested, i have fixed and also remixed the logo from Gnome-Tweak-Tool. a few gnome shell estensions, as "activities icon"
@madek Puedes subir el CSS del estilo Gnome3 ese y postear link para bajarlo??? Here's mine. Just installed Arch and lovin' it! Thanks, i used Gnome-Tweak-Tool in "Fonts - Text Scalling Factor" and reduce to 0.8. What program are you all running that displays the ASCII Arch Logo? One screenie said it was called archie, but it wasn't on my system and I couldn't find it on pacman. NVM. I found it in the AUR. Too quick to post. Keep switching the background even though I'm always in full screen browser mode. 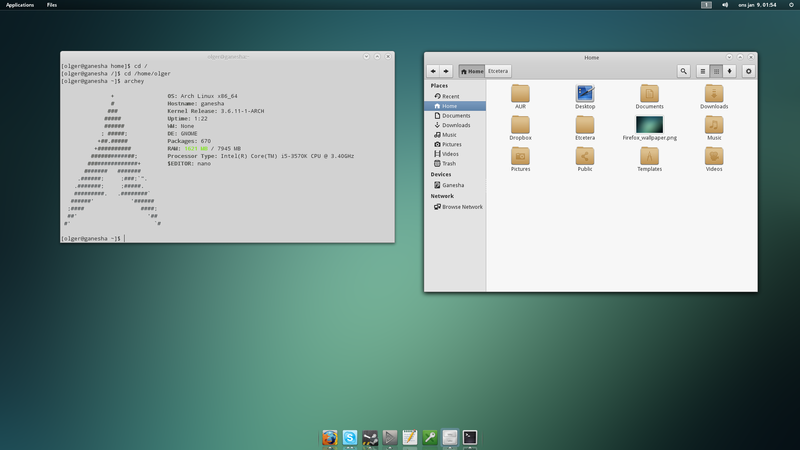 Gnome 3 with dash to dock extension, mac inspired . Open Sans Font!